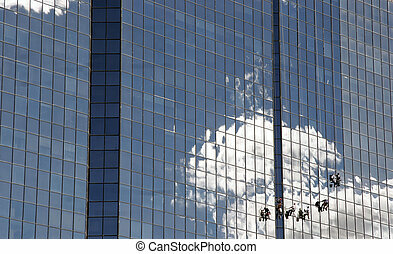 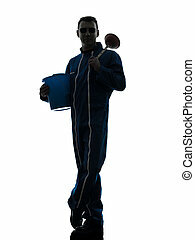 Man janitor cleaner cleaning silhouette. 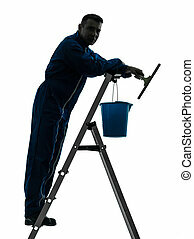 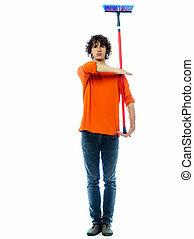 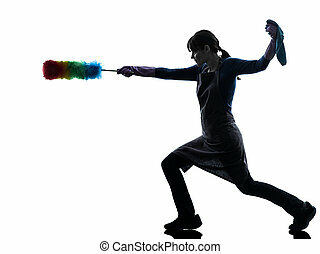 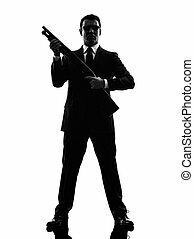 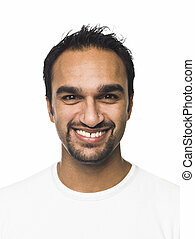 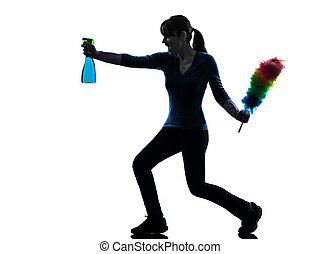 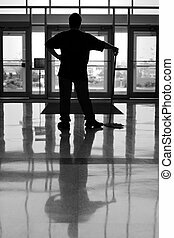 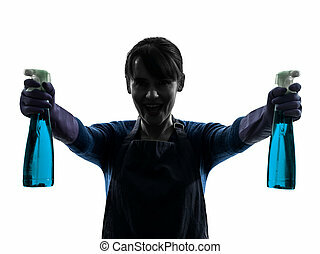 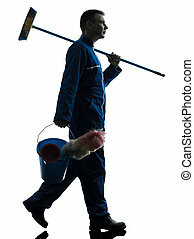 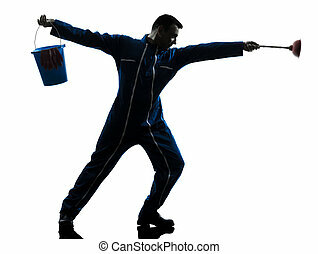 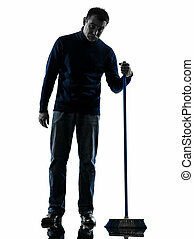 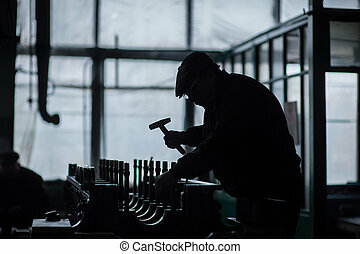 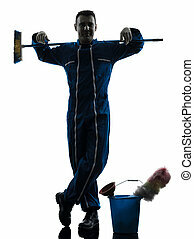 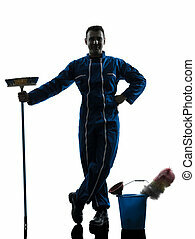 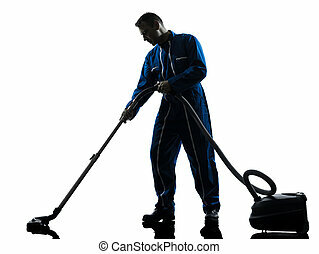 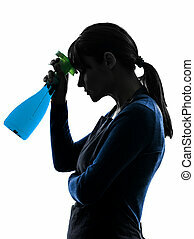 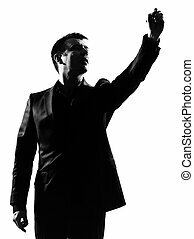 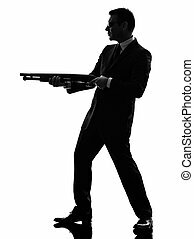 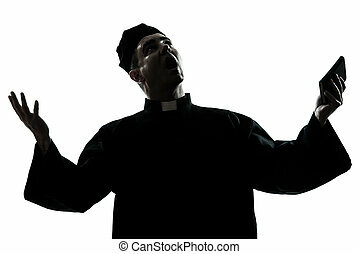 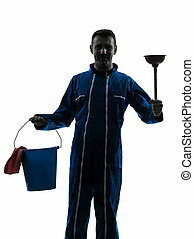 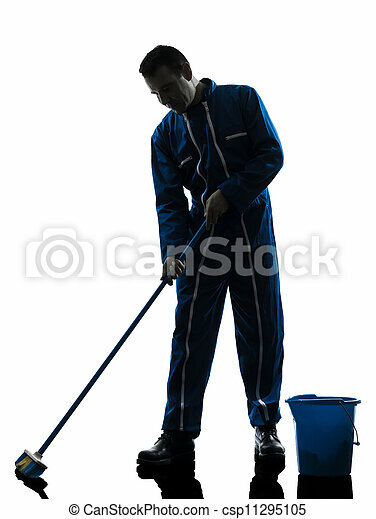 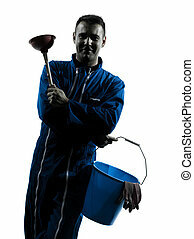 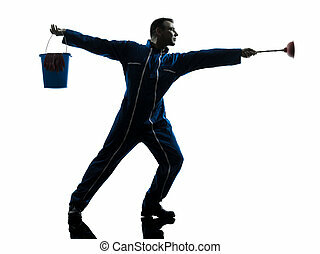 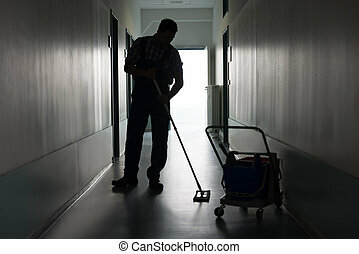 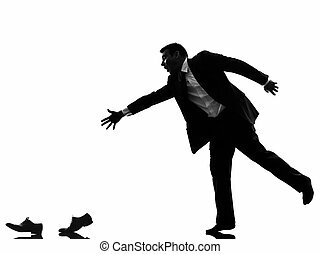 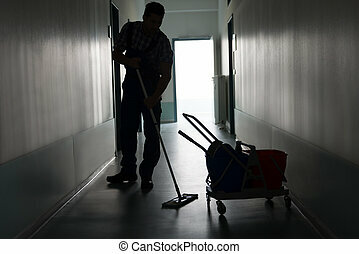 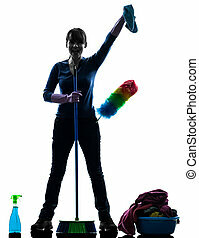 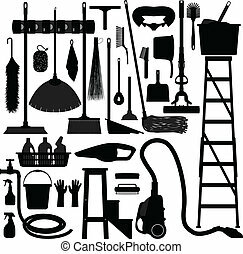 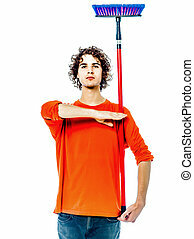 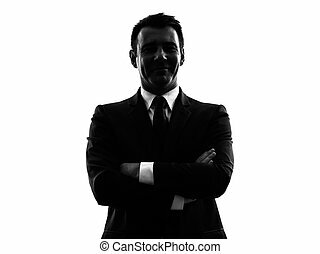 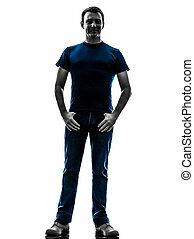 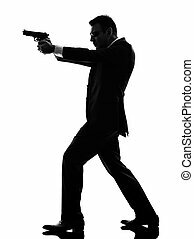 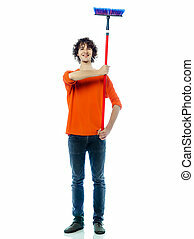 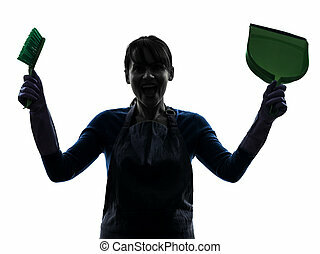 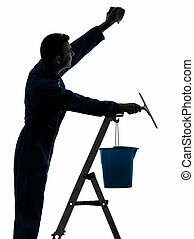 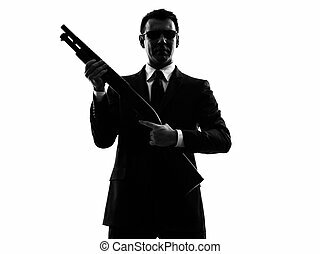 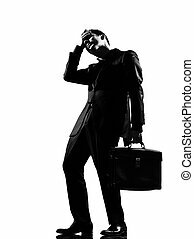 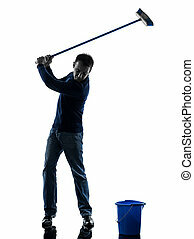 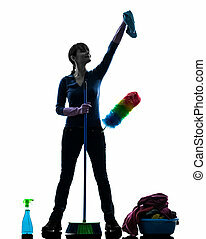 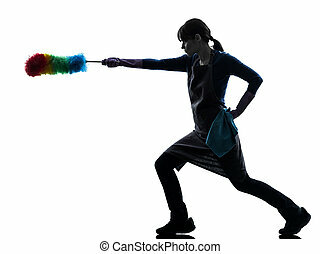 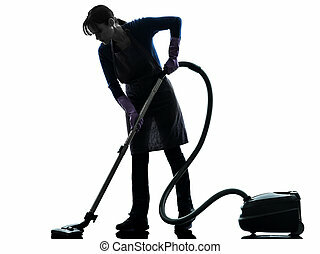 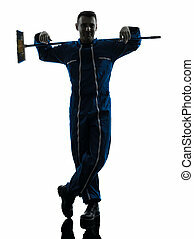 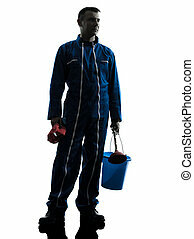 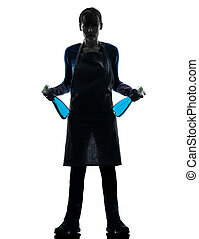 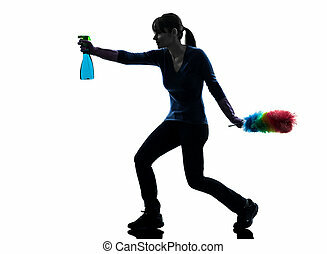 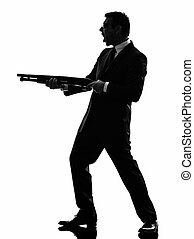 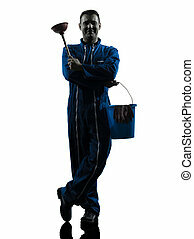 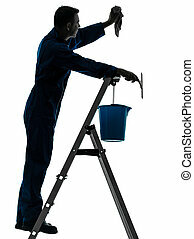 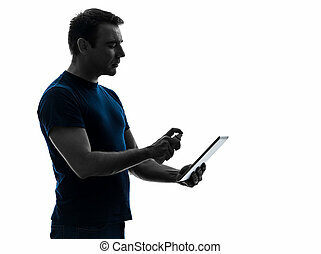 One caucasian janitor cleaner cleaning silhouette in studio on white background. 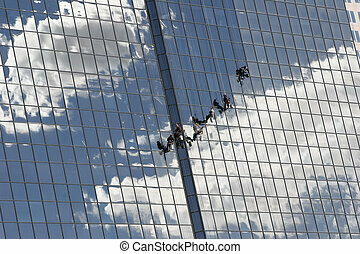 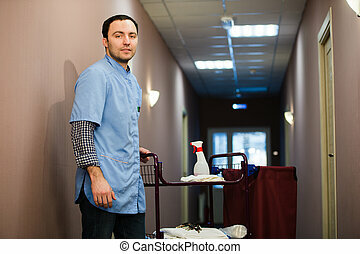 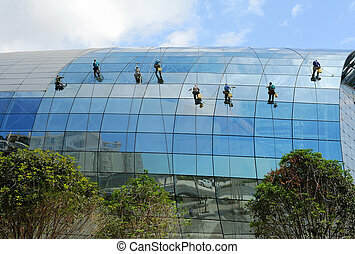 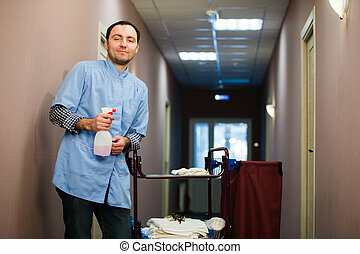 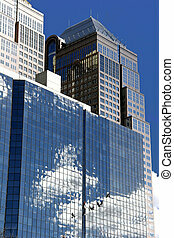 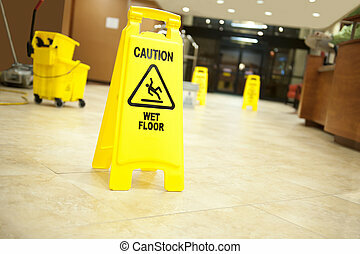 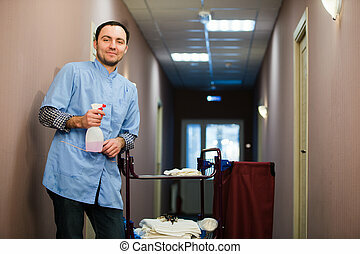 Man cleaning hotel hall wearing blue coat.